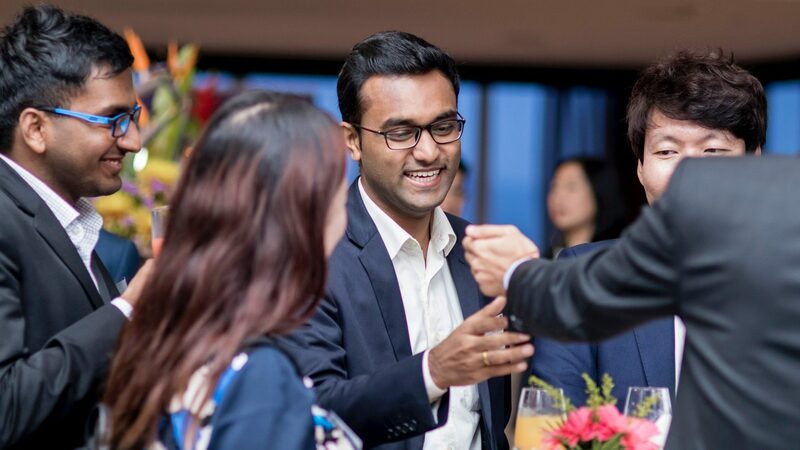 Over 50 alumni and students attended the CUHK Business School Alumni and Friends Meetup in Singapore on 23 January 2019. 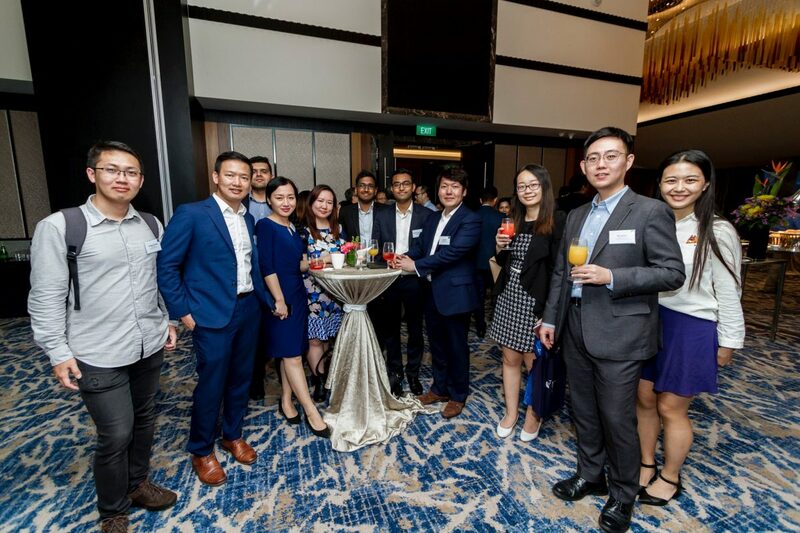 It was great time of learning on the topic of Understanding China’s Business Institutions and Government, as well as an opportunity for networking especially for MBA students who were visiting Singapore during a week-long career trek. 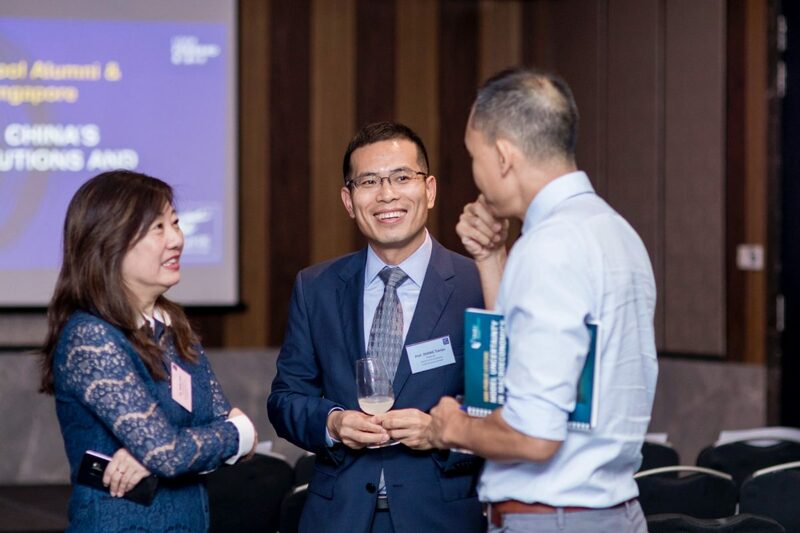 The evening opened up with the sharing of two pieces of abridged research Business School faculty from Prof. Zhaoyang Gu and Prof. Tianyu Zhang, both from the School of Accountancy. Prof. Tianyu Zhang kicked off by sharing about his research that utilizes textual analysis to investigate the role of institutional knowledge in enhancing information advantage of local financial analysts. 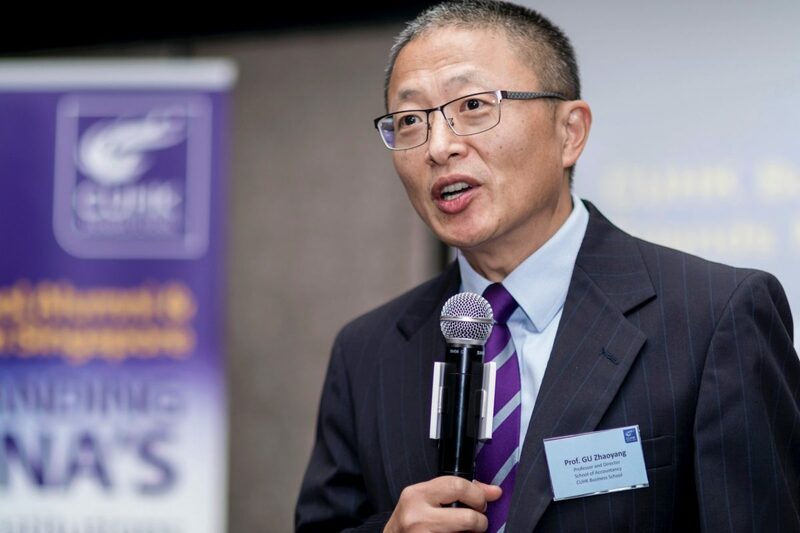 Prof. Tianyu Zhang investigates the role of media in China’s emerging economy. His research shows how the media reform shapes the media industry, the difference in the information delivered by official and non-official newspapers, and the role of social media in correcting the bias in traditional media. His research also provides evidence on how competitions among politicians influence the movement in stock prices. 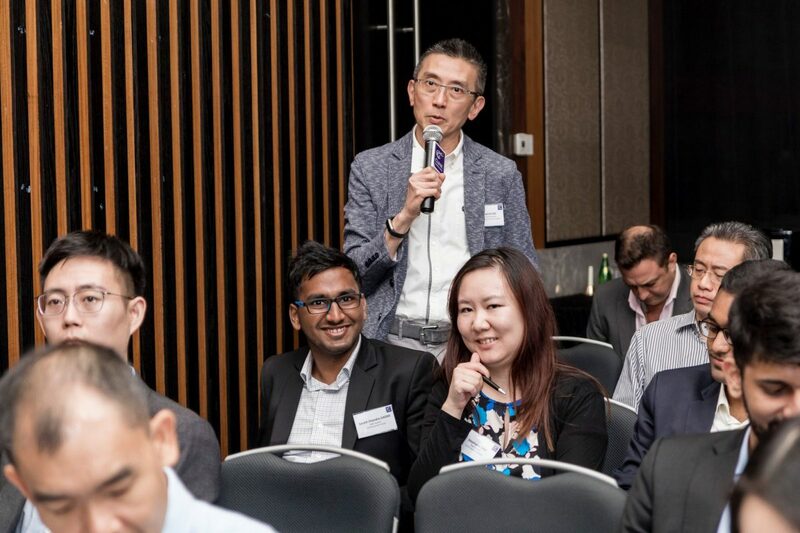 Prof. Zhaoyang Gu then dived into the specific role of fund managers and discussed how institutional investors can play a role in analysts’ biased behavior, based on patterns of allocation of commission fees and personal social connections. Stock recommendations of financial analysts are often overly optimistic with the majority of them being ‘Strong Buy’ or ‘Buy’. This is true everywhere but especially in China. 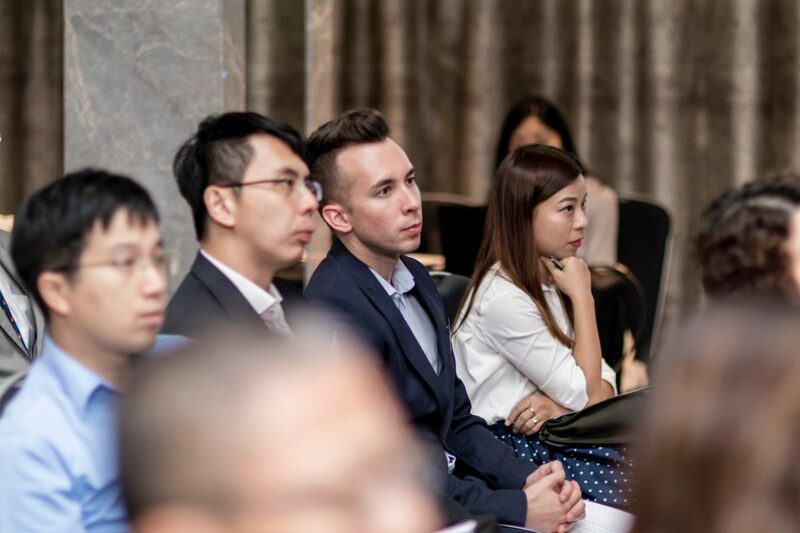 A number of explanations have been proposed, such as cultivating relationships with management or obtaining investment banking businesses from the firms. 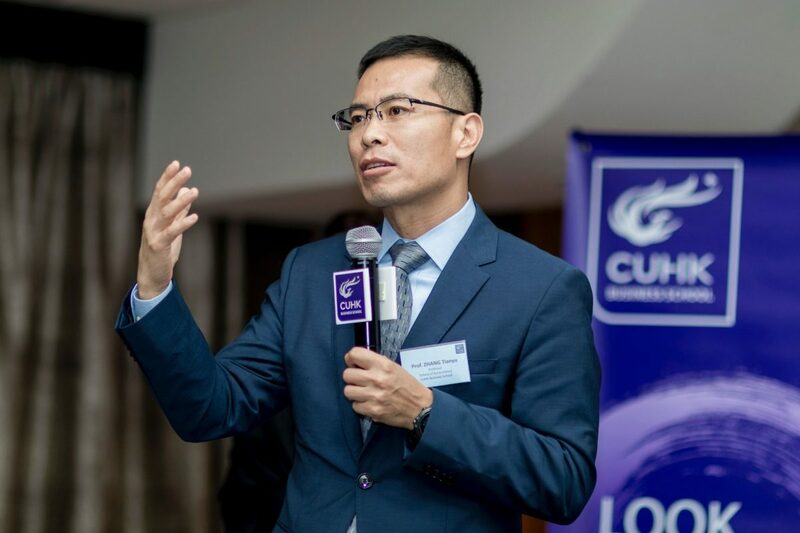 Based on his research, Prof. Zhaoyang Gu discussed how institutional investors can play a role in analysts’ biased behaviours. His study shows evidence that through the allocation of commission fees and personal social connections, mutual fund managers can unduly influence financial analysts in recommending favourably the stocks that the funds have invested in. The evening ended with a good round of questions from the audience followed by catching-up of old friends and mingling of new ones. Prof. Tianyu Zhang speaking on the topic of "Understanding China Institutions through Textual Evidence"
Prof. Zhaoyang Gu speaking on the topic "Why Stock Recommendations of Analysts in China are Distorted: the role of Fund Managers"